Sharon Jones and The Dap-Kings have cancelled their 2013 summer concert tour and have postponed the release of their sixth album, following the diagnosis that lead singer Jones has stage-one bile duct cancer. The soul/funk singer will have to undergo immediate surgery and will be out for a lengthy period of time as she recovers from the invasive operation. The funk/soul group had already called off some shows as Jones underwent a series of tests and short hospital confinements leading to the startling diagnosis. They are now forced to cancel all their tour dates until late August and will need to push back the August 6 release date of their forthcoming album "Give the People What They Want". In a statement she released on Monday morning, Jones told fans that she would be "staying in touch and keeping my fans and friends updated on my progress." "I'm looking forward to getting back on the road to give the people what they want!" the 57-year-old songstress said, playfully using the title of her band's new album in her message to her supporters. 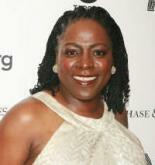 Sharon Jones & the Dap-Kings are best known for their hits "100 Days, 100 Nights" and "I Learned the Hard Way". They are credited for reviving interest in funk/soul music as it was at its height in the mid-60s to the mid-70s, partly by way of choosing to continue using traditional recording methods over modern digital recording equipment.